I am always on the look out as to how to do most things at home due to lack of time. I am sure I am not the only one who suffers from being over busy. Pearly white teeth are a must when it comes to me. A great smile can light up the room. However, I would never disrupt my enamel and get veneers. The best alternative in this case will end up being teeth whitening. Generally teeth whitening in a dentists office will end up costing you an average of £200 minimum and at least two visits considering you may be getting a mouth tray to keep slowly whitening at home. I have previously tried ZOOM TEETH WHITENING and to be honest it was the most dreadful experience I had with teeth whitening. I was left with terrible pain and sensitivity for 3 days after the procedure which was carried out by an experienced dentist. I have a traumatic experience when it comes to ZOOM now. 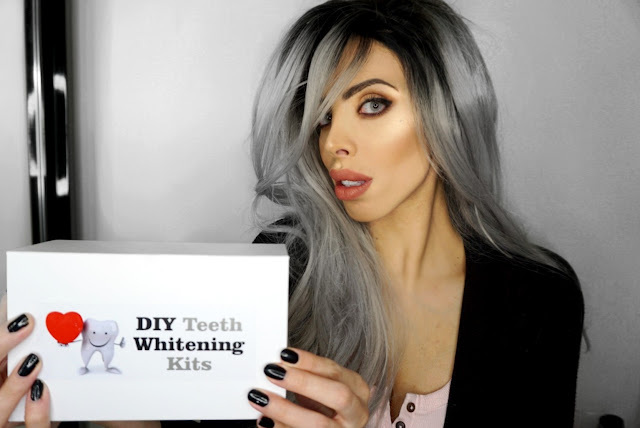 I was offered an at home kit by the lovely team at DIY TEETH WHITENING KITS in Australia. Before accepting I made sure to check out their ingredients as I will not subject my teeth and skin membranes in my mouth to unnecessary pain and possible damage. Their products are FDA approved and most importantly contain 18% Carbamide Peroxide Gels. You may be asking yourself but what does that even mean? 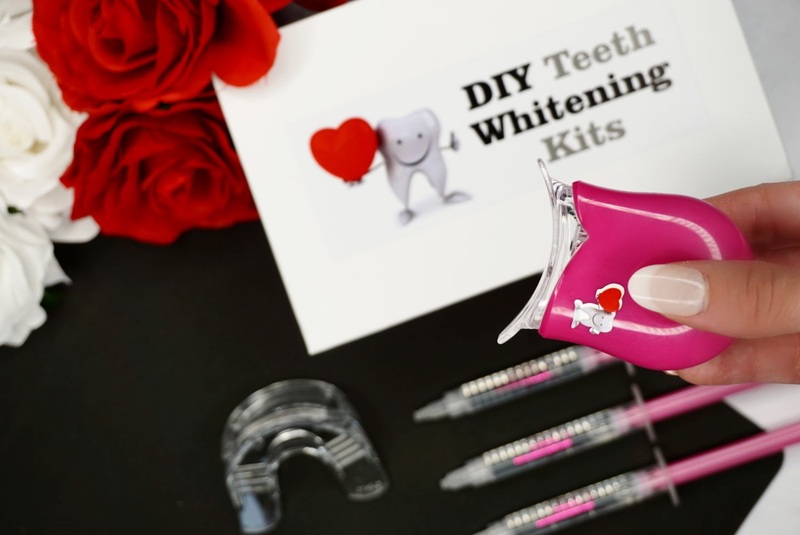 According to the American Dental Association hydrogen and carbamide peroxide are the only things that work for teeth whitening. However for SAFE home use carbamide peroxide should always be below 35%. Bingo, it fits into the Dental Association criterias. Always take great care when it comes to your health including your oral health. I am not advising teeth whitening as being a necessity nor healthy but rather a cosmetic issue. Do take the time to look into ingredients yourselves too. 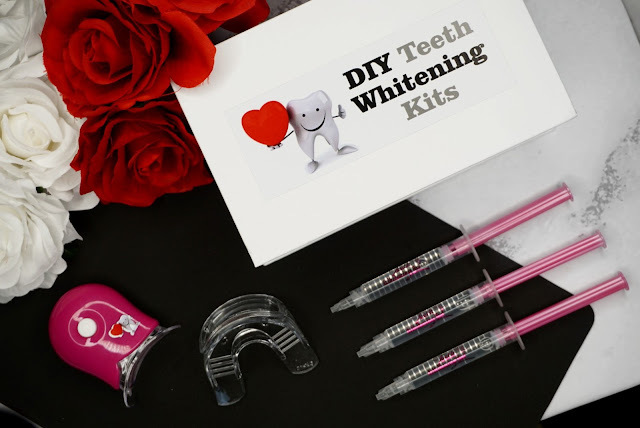 This Teeth Whitening Kit has been designed to whiten teeth at the comfort of your own home. 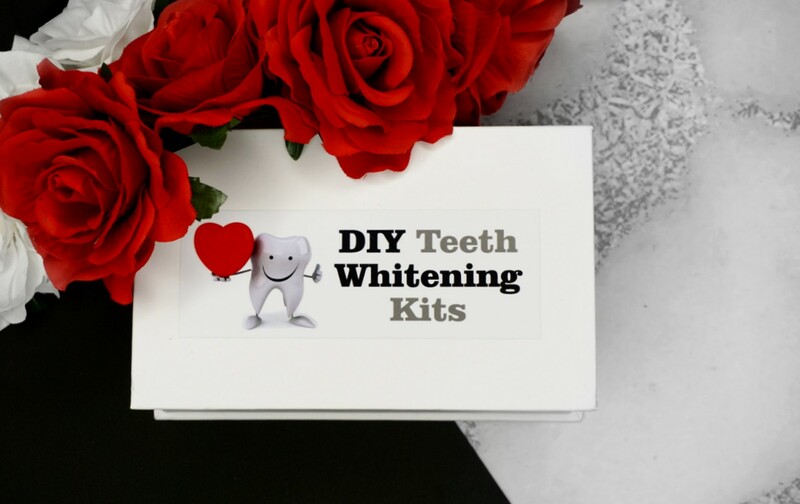 The whitening process has been formulated to deliver results within 10 applications, with each application being for 15 minutes. They promise up to 8 shades whiter teeth. When you initially use the product I do advise you familiarise yourself with the instructions and if you feel you have a reaction to the gels I would recommend you stop use. They do ensure however that it is likely that you will NOT develop pain nor sensitivity throughout this process. The 10 treatment kit retails at £44.29. At the moment they are offering 50% off STOREWIDE on their site so get yours before they sell out. I really like the company logo and the fact that they not only do they provide pink kits but they also do blue ones. The packaging is very well designed and solid. You are not looking at one of those cheap kits you get on eBay but rather something of high quality. After one use there was a considerable difference. How white my teeth looked was instantly noticeable. This product actually delivered and my teeth have been looking very white. I did not develop any sensitivity, however I used to product for 15 minutes at a time. When getting your teeth whitened it's normal for the mouthguard not to be the most comfortable thing on earth. Other than that, I am loving my pearly whites which I got at home!!!!!!!!!!! I didn't get any side effects and got very good results. Most importantly I did not experience PAIN!!!!!!!! Note that in conjunction to this I regularly visit my dentist and hygienist. This does not replace your routine dental checks but rather maintains and improves the esthetics of your teeth. What are your thoughts on this product? Let me know in the comments section below. "I received these products complimentary for testing purposes." However all opinions are truthful and my own.